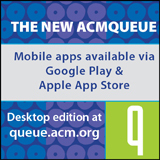 Welcome to the February 17, 2017 edition of ACM TechNews, providing timely information for IT professionals three times a week. Please note: In observance of the U.S. Presidents' Day holiday, TechNews will not be published on Monday, Feb. 20. Publication will resume Wednesday, Feb. 22. China's artificial intelligence (AI) research has positioned it ahead of the U.S., particularly in the field of deep learning. Meanwhile, Chinese technology companies are betting their future on AI by setting up research labs and training systems on a vast corpus of customer data. "I have a hard time thinking of an industry we cannot transform with AI," says Baidu chief scientist Andrew Ng. China's AI success is partly due to the Chinese government's prioritization of academic scientific research, while university collaborations with Chinese tech firms are furthering the country's AI progress. Ng also says China's AI researchers have a competitive edge because their fluency in English helps them broaden their knowledge from the English-speaking scientific community, which is an advantage English scientists typically lack. In addition, Ng says Chinese companies can ship new AI features faster than their Western counterparts. Researchers at Nanyang Technological University (NTU) Singapore have developed an ultrafast camera that could enhance the vision of autonomous vehicles and drones in extreme road conditions and inclement weather. They say the Celex camera is capable of real-time movement and object tracking by recording changes in light intensity between scenes at nanosecond intervals, while also storing the images in a smaller data format. Celex can instantly analyze captured scenes, with key features and objects highlighted, thanks to a built-in circuit. Because the prototype camera records the light-intensity shifts of individual pixels at its sensor, it has a reduced data output, making capturing the entire scene unnecessary and boosting the processing speed. "With its continuous tracking feature and instant analysis of a scene, it complements existing optical and laser cameras and can help self-driving vehicles and drones avoid unexpected collisions that usually happens within seconds," says NTU professor Chen Shousun. Scientists at Aalto University in Finland propose an algorithmic solution to minimize societal polarization by linking people with opposing viewpoints and assessing them on Twitter. 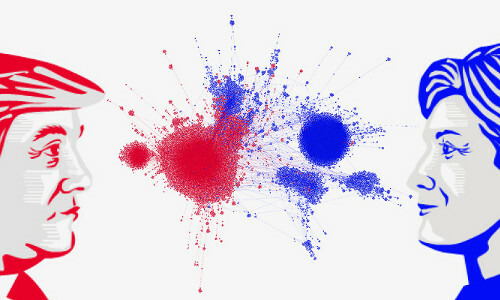 Modeling user interactions around a given controversial subject on Twitter on an endorsement graph, with nodes representing Twitter users, tends to yield a strongly biclustered structure. Aalto professor Aristides Gionis says their algorithm "can be applied on a large scale and is language- and domain-independent. The main algorithm is based on the finding that for a special type of network simulating a polarized network, the best bridges we can add to the network are between the nodes with the highest degrees on either side." High-degree users are typically well-known and have numerous followers, and the algorithm's application to discussions on U.S. election results suggests "creating a bridge between @hillaryclinton and @breitbartnews would reduce polarization the most," says Aalto's Kiran Garimella. Researchers at the universities of Granada and Malaga in Spain have constructed a classification architecture based on deep-learning techniques to differentiate between healthy brain scans and those showing signs of Alzheimer's disease by automatically extracting the affected areas of interest. 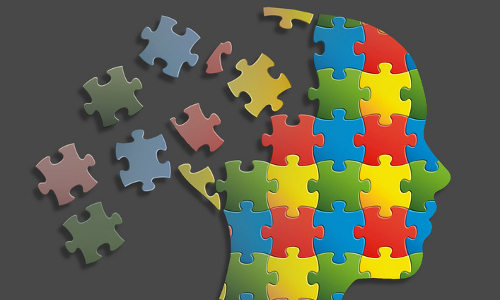 An artificial intelligence (AI) calculates brain function predictors from magnetic resonance imaging (MRI) to catch early signs of Alzheimer's. Images of gray matter are divided according to the regions defined by the Automated Anatomical Labeling atlas. Multiple neural networks are used, with each specializing in different regions of the brain. The proposed method has been evaluated using a large dataset from the Alzheimer's Disease Neuroimaging Initiative. Classification results have been promising, and they indicate the potential of AI techniques to reveal patterns associated with the disease. The researchers say the technique can be applied to improve the early-diagnosis accuracy of other diseases, such as Parkinson's disease. The Internet of Things (IoT) is having a multi-trillion-dollar impact on a range of industries, in addition to its significant societal impact on energy efficiency, health, and productivity. Although interconnected smart devices have unforeseen potential benefits, the IoT also comes with increased risk and potential for abuse. One major challenge of having a proliferation of IoT devices is the increased complexity that is required to operate them safely and securely, which creates new safety, security, privacy, and usability challenges. A recent Computing Community Consortium Computing in the Physical World Task Force report highlights some of the new challenges created by the IoT, and argues issues related to security, physical safety, privacy, and usability are interconnected. However, the report notes more research is needed to help manage the complexity, and to connect usability concerns with safety, security, and privacy. 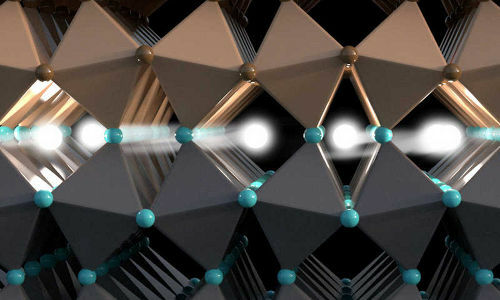 Researchers at the Technical University of Munich in Germany and Kyoto University in Japan have successfully demonstrated the production, transport, and detection of electronic spin information at room temperature, using the boundary layer between lanthanum-aluminate and strontium-titanate. Spin electronics have the potential to replace semiconductors as the underlying technology in computers and mobile devices. The researchers' system features an extremely thin, electrically conducting layer that forms where the two non-conducting materials interface as a two-dimensional electron gas that conveys both spin and charge. A magnetic contact addresses the spin transfer challenge, and the gas then transports the spin information to a non-magnetic contact. The non-magnetic contact senses the spin transport via spin absorption, accumulating an electric potential. By measuring this potential, the researchers were able to systematically probe the transport of spin and show the feasibility of spanning distances up to 100 times larger than the distance of modern transistors. Cybersecurity researchers at the Georgia Institute of Technology (Georgia Tech) launched a ransomware attack that was able to gain access to an industrial control system and commandeer a simulated water treatment plant, highlighting the security vulnerabilities in such systems. Ransomware has been profitable for cybercriminals, so the Georgia Tech researchers believe critical industrial systems may be the next targets to be held for ransom. Many industrial control systems lack strong security protocols and can be accessed once the business' network is breached. To conduct the experiment, the researchers obtained three different programmable logic controllers (PLCs) and tested the devices' security setups. The devices then were combined with pumps, tubes, and tanks to simulate a water treatment facility. The researchers successfully gained control of the PLCs to shut valves, display false readings, and increase the amount of chemicals added to the water. 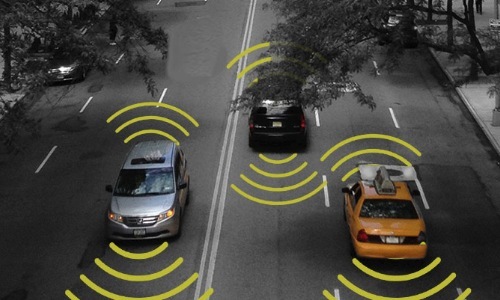 Researchers at the University of Texas at Austin's (UT Austin) Center for Transportation Research (CTR) are using high-performance computing tools to analyze data collected from connected-vehicle (CV) testing. CVs exchange messages regarding location and other safety-related information with other vehicles and roadside infrastructure. The researchers believe the data generated by CVs has the potential to support transportation planning and operations, but the volume and complexity of the data presents challenges for the transportation research community. To explore data collected from the Safety Pilot Model Deployment study, the CTR team turned to UT Austin's Texas Advanced Computing Center (TACC), which is a key partner in the Extreme Science and Engineering Discovery Environment, a collection of integrated advanced digital resources and services. TACC experts worked with CTR researchers to apply the Rustler supercomputer to very large datasets. The team is now able to complete its analysis cycle much faster and attempt new simulation experiments. 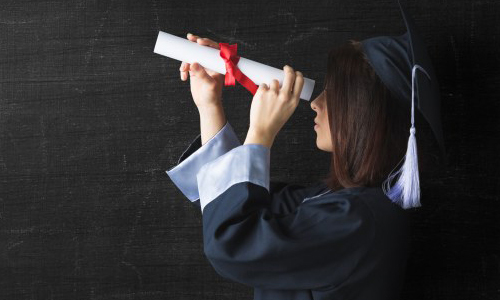 Employers expect Class of 2017 graduates with bachelor's degrees in science, technology, engineering, and math (STEM) will earn the highest average starting salaries of the Class of 2016, according to a survey from the National Association of Colleges and Employers. The survey's forecast average starting salary for engineering majors is $66,097 annually--a nearly 2-percent rise from last year--while computer science and math and science majors should earn about 7 percent to 7.8 percent more than graduates in those disciplines did last year. Class of 2017 computer science master's degree graduates hold the top spot in the survey with a projected average starting salary of $81,039, representing a more than 12-percent increase from the Class of 2016. Each of the individual majors within the computer science discipline, including computer science, information sciences and systems, and software applications are showing significant boosts, with average starting salary projections approaching $80,000 annually. University of Nevada, Reno (UNR) researchers are halfway through a two-year research project that aims to develop a design for smart cars that improves security, dependability, and energy efficiency. UNR professor Arslan Munir has developed a new architecture for electronic control units (ECUs) that tested 48 times faster while using 2.5 times less energy than conventional architectures. In addition, the new architecture paves the way for more fully automated driverless cars, and raises the bar for dependability because ECUs in automobiles must operate in harsh environments with zero tolerance for failure in safety-critical systems such as steering and braking. However, Munir notes that connectivity also has introduced significant security risks. The new architecture combines an encryption standard to provide confidentiality with a hash-based messaging system to ensure message integrity. Munir also is focused on devising a system that enables real-time, on-vehicle generation of encryption keys. Researchers at the Royal College of Music, London in the U.K. have developed the Musician's Mirror, software that identifies when musicians' posture is poor and gives them an audible notification. Users can take advantage of the software by inputting images of themselves adopting good and bad posture, and then highlighting the parts of the body on which they want the system to focus. The musicians then practice their instrument in front of a depth camera. If the musicians start to slouch, they receive an audible warning in the form of white noise for an acoustic instrument, and out-of-tune notes for an electric instrument. If their posture becomes worse, the warning sound becomes more jarring. After the practice session is over, the system produces a "heat map" in the form of a single image representing the player's most common postures. New light-emitting diode (LED) arrays developed by a collaborative research effort between the University of Illinois at Urbana-Champaign and Dow Electronic Materials can both emit and detect light. The LEDs are made of nanorods containing three types of semiconductor material. One type emits and absorbs light, while the other two control how charge flows through the first material. The nanorods quickly switch back and forth from emitting to detecting, appearing to stay on continuously to the human eye. A display made of the LEDs can be programmed to respond to light in a variety of ways, such as automatically adjusting brightness on a tablet pixel-by-pixel in response to light conditions. In addition, the LEDs can convert light into electricity and charge themselves using ambient light without the need for separate solar cells. The researchers believe the design could be the basis for self-adjusting smartphones and other electronic devices. University of Pennsylvania professors Cade Massey and Joseph Simmons say their research into humans' distrust of algorithms is rooted in people's tendency to avoid following consistent, evidence-based rules in favor of their instincts and intuition. "People want algorithms to be perfect...even though what we really want is for them to simply be a little better than the humans," Simmons notes. The professors say one way to get people more comfortable with using algorithms is to give them a measure of control. "We can't get people to use algorithms 100 percent, but we can get them to use algorithms 99 percent, and that massively improves their judgments," Simmons says. Massey notes models and algorithms are held to a higher standard than people, and he and Simmons say their next research focus will be on applying their theories of humans' aversion to using algorithms to real-world scenarios.